PACKAGE DISCOUNT AVAILABLE ONLINE OR IN-STORE - COUPON CODE CDCRACADEMY6 - PACKAGE DISCOUNT 20% OFF REQUIRES MINIMUM QUANTITY: 1 OF EACH ITEM (JACKET OPTIONAL). CDCR Academy Uniform Package includes: 2x Class B Pants, 2x Class B Shirts, 1 Pack White T-Shirts, 1 Pack Black Socks, 1 Seasonal Coat (the June, July, August and September academies are not required to have a jacket, but if purchased now you will receive the discount), 1 Flexfit Black Cap, 1 Uniform Belt, 6 CDCR Shoulder Patches and 1 CDCR Star supplied sewn on. 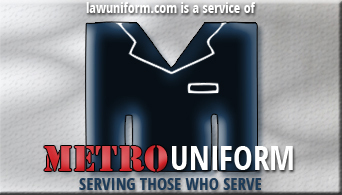 *No Substitutions* “A cell phone picture or scan of your drivers license and acceptance letter is required to process your order” EMAIL your ID to: info@lawuniform.com ADD COUPON CODE CDCRACADEMY6 AT CHECKOUT FOR 20% OFF!! 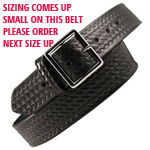 THIS SAME PACKAGE DISCOUNT IS ALSO AVAILABLE AT OUR NEW WEBSITE www.maderauniform.com AND IN OUR 3 STORES. 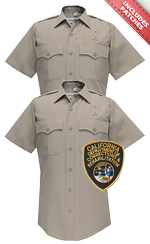 2 CDCR Shirts Short Sleeves, Silver Tan - Shoulder Patches included and sewn on. CDCR Academy Cap - Star Badge included and sewn on.